საშუალო ტემპერატურა (წითლად) და ნალექი (ლურჯად) მაჯუროში. არქიპელაგისთვის ტიპურია, თუმცა იშვიათია, ტროპიკული შტორმები და ქარიშხლები, ანუ ტაიფუნები, რომლის დროსაც აღინიშნება დიდი რაოდენობით ნალექების მოსვლა, ძლიერი ქარები, წაქცეული ხეები და დანგრეული სახლები, ასევე მაღალი ტალღები, რომლებიც საფრთხეს ქმნის წალეკოს დაბალი სიმაღლის კუნძულები. ხდება გვალვები. კლიმატური კატაკლიზმების ყველაზე უფრო ხშირი მიზეზია ელ-ნინიო. მარშალის კუნძულების ნიადაგი — მაღალ ტუტოვანია, მარჯნული წარმოშობის (ძირითადად თეთრი ან ვარდისფერი მარჯნული ქვიშა), მეტად ღარიბია. როგორც წესი ისინი ფოროვანია, რის შედეგად ძალიან ცუდად იკავებს ტენს. ადგილობრივი ნიადაგი ასევე შეიცავს მცირე რაოდენობით ორგანულ და მინერალურ ნივთიერებებს კალციუმის გარდა. არქიპელაგის მხოლოდ რამდენიმე დაუსახლებელ კუნძულზე შენარჩუნებულია ტყე, რომელშიც იზრდება ატოლებისათვის ტიპური მცენარეულობა. დანარჩენ კუნძულებზე ეკოსისტემამ განიცადა მნიშვნელოვანი ცვლილება ანთროპოგენური ფაქტორებისს ზემოქმედებებით: ადგილობრივი ფლორის დიდი ნაწილი განადგურდა, ხოლო მათ ნაცვლად დაირგო ქოქოსის პალმისა და პურის ხის პლანტაციები. სხვა ატოლები დაზარალდნენ სამხედრო მოქმედებების გამო: 1946 წლიდან 1960-იანი წლების ჩათვლით ბიკინის ატოლზე და ენივეტოკზე ამერიკელები ანხორციელებდნენ ბირთვული იარაღის გამოცდას. 1954 წელს ბიკინის ატოლზე აშშ-მა კოდური სახელით „ბრავო“ გამოსცადა თავისი პირველი წყალბადის ბომბი. აფეთქების სიმძლავრემ 1000-ჯერ გადააჭარბა ჰიროსიმაში აფეთქების სიმძლავრეს, ხოლო მისი რადიოაქტიური ნალექები მიმოიბნა მეზობელ კუნძულებზეც. ბირთვულმა გამოცდებმა დიდი ზიანი მიაყენა კუნძულების ეკოსისტემებს. ტრადიციულად მარშალის კუნძულებზე არ არსებობენ რაიმე ფორმალურად ორგანიზებული პოლიტიკური პარტიები. ისინი, რომლებსაც ქვიათ პოლიტიკური პარტიები, უფრო გვანან ფრაქციებს ან ჯგუფებს, რომლებიც მოქმედებენ გარკვეული ჯგუფების ინტერესებით. მათ არ გააჩნიათ ოფისები, ოფიციალური იდეოლოგია ან პარტიული სტრუქტურა. ქვეყნის ორი საყოველთაოდ აღიარებული პარტიაა პარტია კაბუა, ანუ Aelon Kein Ad, (მარშალური ენიდან თარგმანში — „ჩვენი კუნძულები“) და გაერთიანებული დემოკრატიული პარტია. ქვეყანაში ასევე მოქმედებს მეორე პარტია, გაერთიანებული სახალხო პარტია, რომელმაც 2008 წლის იანვარში კაბუას პარტიასთან ერთად ჩამოაყალიბა მარშალის კუნძულების მთავრობა. ქვეყნის ერთ-ერთი მთავარი სასოფლო სამეურნეო პროდუქტია კოპრა, რომელსაც ძირითადად აწარმოებენ არქიპელაგის დაშორებულ კუნძულებზე, რაზეც მარშალის კუნძულების მთავრობა ამ პროდუქტებზე აკეთებს თანხების სუბსიდირებას, რომ ხელი შეუწყოს ადგილობრივი მოსახლეობის კეთილდღეობას. სუბსიდიების აზრი შეიცავს იმას, რომ სამთავრობო კომპანია „Tobolar“ საბაზრო ფასზე უფრო ძვირად შეისყიდის ადგილობრივი მოსახლეობისგან კოპრას. 2004 და 2005 წლებში ამ სუბსიდიებმა მიაღწიეს $900 000. 2004 წელს ტაივანიდან მიღებული გრანტის დახმარებით მარშალის კუნძულებზე ქოქოსის ზეთთან ერთად დაიწყეს საპნისა და სხვა პროდუქციის წარმოება. მარშალის კუნძულებზე შესაძლებელია სხვადასხვა სახის სატელეკომუნიკაციო მომსახურება: ტელექსი, ტელეფონი, ინტერნეტი. მაჯუროს და კვაჯალეინის ატოლებზე მოქმედებს რეგულარული სატელეფონო კავშირი. სხვა კუნძულებთან დაკავშირება შესაძლებელია თანამგზავრული კავშირით ან რადიოტელეფონების საშუალებით. 2004 წელს ქვეყანაში გამოიყენებოდა 4500 სახლის ტელეფონი და 600 მობილური ტელეფონი. 2006 წელს მარშალის კუნძულებზე ინტერნეტით სარგებლობდა 2200 ადამიანი. ზამთრის ოლიმპიურ თამაშებში ქვეყანას მონაწილეობა არ მიუღია. ზაფხულის ოლიმპიურ თამაშებზე ქვეყანა პირველად წარდგა 2008 წელს პეკინში (ჩინეთი) ჩატარებულ ზაფხულის ოლიმპიურ თამაშებზე. მარშალის კუნძულების რესპუბლიკა წარადგინა ხუთმა სპორტსმენმა, რომლებიც მონაწილეობდნენ შეჯიბრებებში მძლეოსნობაში, ცურვაში და ტაეკვანდოში, მაგრამ არც ერთ მათგანში არ დაუკავებიათ საპრიზო ადგილი. ↑ Department of Economic and Social Affairs Population Division (2009) (PDF). World Population Prospects, Table A.1. 2008 revision. United Nations. http://www.un.org/esa/population/publications/wpp2008/wpp2008_text_tables.pdf. წაკითხვის თარიღი: March 12, 2009. ↑ Cahoon, Ben.. Marshall Islands. World Statesmen.Org. დაარქივებულია ორიგინალიდან - 2011-08-11. წაკითხვის თარიღი: 2011-08-11. ↑ Marshall Islands. Location, size, and extent.. Encyclopedia of the Nations. წაკითხვის თარიღი: 2011-08-11. ↑ 9.0 9.1 9.2 Marshall Islands.. Oceandots.com. დაარქივებულია ორიგინალიდან - 2011-08-11. წაკითხვის თარიღი: 2011-08-11. ↑ 10.00 10.01 10.02 10.03 10.04 10.05 10.06 10.07 10.08 10.09 10.10 10.11 10.12 Marshall Islands.. CIA. The World Fact Book. წაკითხვის თარიღი: 4 მაისი 2008. ↑ 11.0 11.1 11.2 Geography. Embassy of the Republic of the Marshall Islands in USA, Washington D.C.. დაარქივებულია ორიგინალიდან - 2011-08-11. წაკითხვის თარიღი: 2011-08-11. 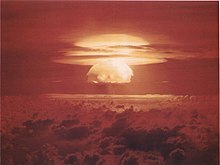 ↑ Kwajalein Atoll.. Encyclopædia Britannica. დაარქივებულია ორიგინალიდან - 2011-08-11. წაკითხვის თარიღი: 2011-08-11. ↑ Geography of the Marshall Islands. (PDF). South Pacific Commission. დაარქივებულია ორიგინალიდან - 2011-08-11. წაკითხვის თარიღი: 2011-08-11. ↑ 14.0 14.1 14.2 14.3 14.4 14.5 14.6 14.7 14.8 14.9 The Republic of the Marshall Islands.. A Directory of Wetlands in Oceania. დაარქივებულია ორიგინალიდან - 2011-08-11. წაკითხვის თარიღი: 2011-08-11. ↑ 15.0 15.1 Darwin C. The structure and distribution of coral reefs. — London: 1842. ↑ Marshall Islands. Encyclopedia of the Nations. წაკითხვის თარიღი: 2011-08-11. ↑ Ocean and Islands Programme for the Marshall Islands. SOPAC. დაარქივებულია ორიგინალიდან - 2011-08-11. წაკითხვის თარიღი: 2011-08-11. ↑ 18.0 18.1 18.2 18.3 18.4 18.5 F. Raymond Fosberg. A review of the Natural History of the Marshall Islands // Atoll Research Bulletin. — თარგი:ადგილის მითითება ბიბლიობმულებში, January 1990. — В. Atoll Research Bulletin. — № 330. ↑ 19.0 19.1 19.2 United Nations Framework Convention on Climate Change. Climatic and Oceanic Conditions. — გვ. 16. (PDF). Government of the Republic of the Marshall Islands. დაარქივებულია ორიგინალიდან - 2011-08-11. წაკითხვის თარიღი: 2011-08-11. ↑ 21.0 21.1 21.2 Geography of the Marshall Islands.. Site of Enen-kio. წაკითხვის თარიღი: 2011-08-11. ↑ 22.0 22.1 F. Raymond Fosberg. A review of the Natural History of the Marshall Islands // Atoll Research Bulletin. — თარგი:ადგილის მითითება ბიბლიობმულებში, January 1990. — В. Atoll Research Bulletin. — № 330. ↑ 23.0 23.1 F. Raymond Fosberg. A review of the Natural History of the Marshall Islands // Atoll Research Bulletin. — თარგი:ადგილის მითითება ბიბლიობმულებში, January 1990. — В. Atoll Research Bulletin. — № 330. ↑ Выступление президента Республики Маршалловы Острова г-на Кессаи Ноута (PDF). გაერო. დაარქივებულია ორიგინალიდან - 2011-08-11. წაკითხვის თარიღი: 2011-08-11. ↑ 25.0 25.1 25.2 United Nations Framework Convention on Climate Change. Atoll Ecosystems and Biodiversity. — გვ. 21—22 (PDF). Government of the Republic of the Marshall Islands. დაარქივებულია ორიგინალიდან - 2011-08-11. წაკითხვის თარიღი: 2011-08-11. ↑ 26.0 26.1 26.2 Republic of the Marshall Islands. Convention on Biological Diversity 1997. Preliminary National Report to the Conderence of the Parties (PDF). Government of the Republic of the Marshall Islands. დაარქივებულია ორიგინალიდან - 2011-08-11. წაკითხვის თარიღი: 2011-08-11. ↑ Marshall Islands. Statoids. დაარქივებულია ორიგინალიდან - 2011-08-11. წაკითხვის თარიღი: 2011-08-11. ↑ 29.0 29.1 Marshall Islands System of Government Information. University of the South Pacific. დაარქივებულია ორიგინალიდან - 2011-08-11. წაკითხვის თარიღი: 2011-08-11. ↑ 30.0 30.1 The Nitijela (Parliament). Office of the President, Republic of the Marshall Islands. დაარქივებულია ორიგინალიდან - 2011-08-11. წაკითხვის თარიღი: 2011-08-11. ↑ 31.0 31.1 აშშ-ის ცსს-ს მონაცემები. ↑ 32.0 32.1 United Nations Framework Convention on Climate Change. Population and Settlement. — გვ. 16. (PDF). Government of the Republic of the Marshall Islands. დაარქივებულია ორიგინალიდან - 2011-08-11. წაკითხვის თარიღი: 2011-08-11. ↑ Resident Population and Annual Population Growth Rate: 1920-1999.. RMI Economic Policy, Planning and Statistics Office. დაარქივებულია ორიგინალიდან - 2011-08-11. წაკითხვის თარიღი: 2011-08-11. ↑ 34.0 34.1 Marshall Islands. Social Statistics.. RMI Economic Policy, Planning and Statistics Office. დაარქივებულია ორიგინალიდან - 2011-08-11. წაკითხვის თარიღი: 2011-08-11. ↑ Background Note: Marshall Islands. US Department of State. Bureau of East Asian and Pacific Affairs. დაარქივებულია ორიგინალიდან - 2011-08-11. წაკითხვის თარიღი: 2011-08-11. ↑ 2004 Year Book. Стр.21. (PDF). RMI Economic Policy, Planning and Statistics Office. დაარქივებულია ორიგინალიდან - 2011-08-11. წაკითხვის თარიღი: 22 მაისი 2008. ↑ 38.0 38.1 Marshall Islands. Encyclopedia of the Nations. წაკითხვის თარიღი: 24 მაისი 2008. ↑ Languages of Marshall Islands. Ethnologue. დაარქივებულია ორიგინალიდან - 2011-08-11. წაკითხვის თარიღი: 27 მაისი 2008. ↑ 41.0 41.1 41.2 Marshall Islands 2004. — გვ.7. Transparency International Country Study Report. დაარქივებულია ორიგინალიდან - 2011-08-11. წაკითხვის თარიღი: 2011-08-11. 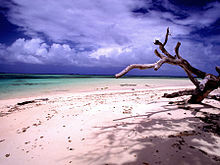 ↑ Marshall Islands 2004. — გვ.8. Transparency International Country Study Report. დაარქივებულია ორიგინალიდან - 2011-08-11. წაკითხვის თარიღი: 1 ივნისი 2008. ↑ 44.0 44.1 44.2 კ., სტ. 4, § 2, პ. 1. ↑ 47.0 47.1 კ., სტ. 4, § 3, პ. 1. ↑ Brief Overview of Political Development in the Republic of the Marshall Islands.. The Nitijela (Parliament). დაარქივებულია ორიგინალიდან - 2011-08-11. წაკითხვის თარიღი: 2011-08-11. ↑ 59.0 59.1 კ., სტ. 5, § 5, პ. 1. ↑ 67.0 67.1 კ., სტ. 6, § 3, პ. 1. ↑ 68.0 68.1 კ., სტ. 6, § 1, პ. 4. ↑ Marshall Islands Courts System Information. University of the South Pacific. დაარქივებულია ორიგინალიდან - 2011-08-11. წაკითხვის თარიღი: 2011-08-11. ↑ Transparency International Country Study Report.. Marshall Islands 2004. — გვ.13.. დაარქივებულია ორიგინალიდან - 2011-08-11. წაკითხვის თარიღი: 1 ივნისი 2008. ↑ Office of the President, Republic of the Marshall Islands.. The United People’s Party and Aelon Kein Ad formed Government).. დაარქივებულია ორიგინალიდან - 2011-08-11. წაკითხვის თარიღი: 21 ივნისი 2008. ↑ Criminal Offenses. Number of criminal cases listed at rmi high courte: 2000 to 2004. RMI Economic Policy, Planning and Statistics Office. დაარქივებულია ორიგინალიდან - 2011-08-11. წაკითხვის თარიღი: 2011-08-11. ↑ Arrests. Number of arrests by national and local government police (ebeye & majuro) by gender and age: 2002 to 2004.. RMI Economic Policy, Planning and Statistics Office. დაარქივებულია ორიგინალიდან - 2011-08-11. წაკითხვის თარიღი: 2011-08-11. ↑ Countries with which the Marshall Islands has Diplomatic Relations. U.S. Department of the Interior. Office of Insular Affairs. დაარქივებულია ორიგინალიდან - 2011-08-11. წაკითხვის თარიღი: 2011-08-11. ↑ Embassies in Marshall Islands. GoAbroad.com. დაარქივებულია ორიგინალიდან - 2011-08-11. წაკითხვის თარიღი: 2011-08-11. ↑ Republic of the Marshall Islands. New Zealand Ministry Of Foreign Affaires And Trade. დაარქივებულია ორიგინალიდან - 2011-08-11. წაკითხვის თარიღი: 2011-08-11. ↑ Government. Embassy of the Republic of the Marshall Islands in USA, Washington D.C.. დაარქივებულია ორიგინალიდან - 2011-08-11. წაკითხვის თარიღი: 2011-08-11. ↑ 98.0 98.1 98.2 United Nations Framework Convention on Climate Change. Socio-economic Overview. — გვ. 18—19 (PDF). Government of the Republic of the Marshall Islands. დაარქივებულია ორიგინალიდან - 2011-08-11. წაკითხვის თარიღი: 13 მაისი 2008. ↑ 99.0 99.1 2004 Year Book. გვ.5 (PDF). RMI Economic Policy, Planning and Statistics Office. დაარქივებულია ორიგინალიდან - 2011-08-11. წაკითხვის თარიღი: 2011-08-11. ↑ 100.0 100.1 100.2 2004 Year Book. Chapter 6 – Government Finance. გვ.205 (PDF). RMI Economic Policy, Planning and Statistics Office. დაარქივებულია ორიგინალიდან - 2011-08-11. წაკითხვის თარიღი: 2011-08-11. ↑ 2004 Year Book. Chapter 6 – Government Finance. გვ.208 (PDF). RMI Economic Policy, Planning and Statistics Office. დაარქივებულია ორიგინალიდან - 2011-08-11. წაკითხვის თარიღი: 2011-08-11. ↑ 102.0 102.1 National Accounts. RMI gross domestic product estimates (GDP), USD'000. RMI Economic Policy, Planning and Statistics Office. დაარქივებულია ორიგინალიდან - 2011-08-11. წაკითხვის თარიღი: 2011-08-11. ↑ National Accounts. Current and constant price GDP, GDP per capita and growth rates 1981-2007. RMI Economic Policy, Planning and Statistics Office. დაარქივებულია ორიგინალიდან - 2011-08-11. წაკითხვის თარიღი: 2011-08-11. ↑ 2004 Year Book. Chapter 15 — Agriculture, Fisheries and Rural Development. გვ.364 (PDF). RMI Economic Policy, Planning and Statistics Office. დაარქივებულია ორიგინალიდან - 2011-08-11. წაკითხვის თარიღი: 2011-08-11. ↑ 105.0 105.1 2004 Year Book. Chapter 15 — Agriculture, Fisheries and Rural Development. გვ.363 (PDF). RMI Economic Policy, Planning and Statistics Office. დაარქივებულია ორიგინალიდან - 2011-08-11. წაკითხვის თარიღი: 23 ივნისი 2008. ↑ National Accounts. Total fish catch (metric tons) in RMI EEZ by method: 1998 - 2006. RMI Economic Policy, Planning and Statistics Office. დაარქივებულია ორიგინალიდან - 2011-08-11. წაკითხვის თარიღი: 2011-08-11. ↑ Yokwe! Bula! Talofa! Kona Mauri!. Air Marshall Islands. დაარქივებულია ორიგინალიდან - 2011-08-11. წაკითხვის თარიღი: 2011-08-11. ↑ Visiting the RMI. Embassy of the Republic of the Marshall Islands in USA, Washington D.C.. დაარქივებულია ორიგინალიდან - 2011-08-11. წაკითხვის თარიღი: 2011-08-11. ↑ Travel & Transportation. Marshall Islands Visitors Authority. დაარქივებულია ორიგინალიდან - 2011-08-11. წაკითხვის თარიღი: 2011-08-11. ↑ 110.0 110.1 Country profile: Marshall Islands.. BBC. დაარქივებულია ორიგინალიდან - 2011-08-11. წაკითხვის თარიღი: 2011-08-11. ↑ 2004 Year Book. Chapter 13 — Tourism. გვ. 334 (PDF). RMI Economic Policy, Planning and Statistics Office. დაარქივებულია ორიგინალიდან - 2011-08-11. წაკითხვის თარიღი: 2011-08-11. ↑ 112.0 112.1 2004 Year Book. Chapter 13 — Tourism. გვ. 333 (PDF). RMI Economic Policy, Planning and Statistics Office. დაარქივებულია ორიგინალიდან - 2011-08-11. წაკითხვის თარიღი: 2011-08-11. ↑ 2004 Year Book. Chapter 6 – Government Finance. გვ. 225 (PDF). RMI Economic Policy, Planning and Statistics Office. დაარქივებულია ორიგინალიდან - 2011-08-11. წაკითხვის თარიღი: 2011-08-11. ↑ National Accounts. RMI government finances (GFS format) FY97-FY07, USD'millions. RMI Economic Policy, Planning and Statistics Office. დაარქივებულია ორიგინალიდან - 2011-08-11. წაკითხვის თარიღი: 2011-08-11. ↑ 115.0 115.1 2004 Year Book. Chapter 6 – Government Finance. გვ. 210 (PDF). RMI Economic Policy, Planning and Statistics Office. დაარქივებულია ორიგინალიდან - 2011-08-11. წაკითხვის თარიღი: 22 ივნისი 2008. ↑ Home Page. Bank of Marshall Islands. დაარქივებულია ორიგინალიდან - 2011-08-11. წაკითხვის თარიღი: 2011-08-11. ↑ 117.0 117.1 2004 Year Book. Chapter 3 — Health. გვ.87 (PDF). RMI Economic Policy, Planning and Statistics Office. დაარქივებულია ორიგინალიდან - 2011-08-11. წაკითხვის თარიღი: 2011-08-11. ↑ Health. Embassy of the Republic of the Marshall Islands in USA, Washington D.C.. დაარქივებულია ორიგინალიდან - 2011-08-11. წაკითხვის თარიღი: 2011-08-11. ↑ 119.0 119.1 119.2 119.3 National Report to the World Summit on Sustainable Development. Population Trends and Health Status. გვ. 11. RMI. დაარქივებულია ორიგინალიდან - 2011-08-11. წაკითხვის თარიღი: 2011-08-11. ↑ 120.0 120.1 120.2 National Report to the World Summit on Sustainable Development. Educational Progress. გვ. 12. RMI. დაარქივებულია ორიგინალიდან - 2011-08-11. წაკითხვის თარიღი: 2011-08-11. ↑ 121.0 121.1 Primary Enrollment. RMI Economic Policy, Planning and Statistics Office. დაარქივებულია ორიგინალიდან - 2011-08-11. წაკითხვის თარიღი: 2011-08-11. ↑ 2004 Year Book. Chapter 4 – Education. გვ.149 (PDF). RMI Economic Policy, Planning and Statistics Office. დაარქივებულია ორიგინალიდან - 2011-08-11. წაკითხვის თარიღი: 2011-08-11. ↑ 125.0 125.1 Marshall Islands. Culture. Marshall Islands Visitors Authority. დაარქივებულია ორიგინალიდან - 2011-08-11. წაკითხვის თარიღი: 2011-08-11. ↑ 126.0 126.1 Marshall Islands National Olympic Committee (MINOC) 2007 Annual Report to ONOC.. Marshall Islands National Olympic Committee. დაარქივებულია ორიგინალიდან - 2011-08-11. წაკითხვის თარიღი: 2011-08-11. ↑ Anju Jason Qualifies in Taekwondo for Beijing. Yokwe Online. დაარქივებულია ორიგინალიდან - 2011-08-11. წაკითხვის თარიღი: 2011-08-11.
ეს გვერდი ბოლოს დარედაქტირდა: 15:52, 12 დეკემბერი 2018.